There are some conversations that need to be stricken from the academic dialogue for our own good. When my colleagues or my academic friends are talking about real ideas, movies, books, their research or other people’s research, they are generally charming, funny, enlightening, and delightful. 1. “I believe in interdisciplinary research as long as we all understand that my discipline is better/more rigorous/more valid than yours.” Despite whatever stats you want to throw at me, this conversation always comes down to “My interests/approaches are better because they are better and your approaches are not as good because they aren’t my approaches.” Hello, Ego. 2. “I was in your field once and I didn’t like it so the field I’m in now is so much more superior than that one, although I’m still an expert on all matters in that one.” No, you’re not. See #1, re: big fat ego. 3.” Everybody else in your discipline is a yahoo, a fraud, an idiot, or all of the above, but you’re kind of acceptable because you act like the people in my discipline, as long as you remember you’re not really one of us.” Yes, I get it; you’re an exceptional visionary in your field for even noticing inconsequential me from your perch atop Mount Olympus. 4. “My field is much more powerful than yours because it deserves to be because it is better, but yours is at fault if policies cause anything to go toes up.” The current fiscal crisis is the fault of those damn MBAs who didn’t understand, x, y, and z about the macroeconomy** and those damn community development people from planning who let bad people into credit markets for housing they didn’t deserve and…and…and….yada, yada, so please don’t interrupt me while I explain why my discipline has all the answers. 5. “Your discipline can learn so much from mine.” You betcha. 6. “Let’s have a frank discussion about standards. These are the standards of my field. If you consider anything other than what I value, your field’s standards are so flexible that they mean nothing other than your discipline is sloppy.” Now there’s progress. 7. “If your field involves questions which involve data that don’t lend themselves to the fanciest and most complicated statistics you can possibly apply in my field, your field is clearly “not as mature as mine.” Yet more self-congratulation! These conversations are poison to interdisciplinary scholarship because it should be about ideas and exploration, not camps. **The more I listen, the more convinced I am that nobody really understands the macro-economy. We were talking about Jimmy Stewart at dinner the other night, as I have a colleague who believes that Tom Hanks is Stewart’s analog now. The usual movies were listed; there are some collaborations among actors and directors that become special, and for Stewart, his work with Frank Capra and Alfred Hitchcock always come to mind, but my favorite of his is actually a movie directed by the undeservedly obscure Otto Preminger: Anatomy of a Murder (Lee Remick is luminous in that movie). 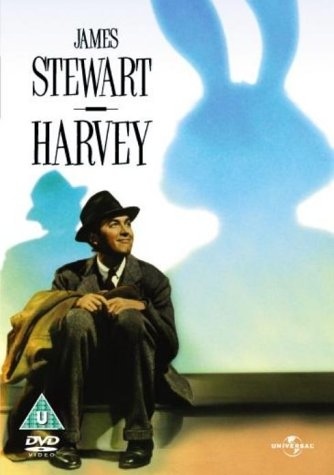 I also liked Stewart’s work with John Ford, but if I were stranded on a desert island, I would have to select Harvey.